"Jon was a wonderful friend and client for more than 20..."
"Jon-You will be missed . Rest In Peace my friend." Jon was a great person who had many many friends. He spent his entire adult life in the service of others, including his country. He spent twenty years in the Navy as a Navy Intelligence Officer with NCIS, both here and overseas, including seventeen years overseas and three consecutive years in Vietnam and also as an Embassy Intelligence Officer for Jamaica. 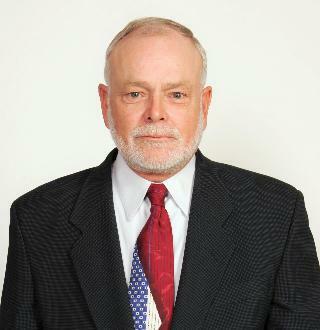 He was the manager/corporate director for security/facilities (worldwide) and CSSO Special Programs Security Director. Jon retired as a Chief Warrant Officer 2 in 2000 after receiving several medals and awards for his service. Even after he retired and began a new career as a private contract investigator for his own company, representing several national agencies in both the investigative and intelligence com-munities, he continued to work with various veteran organizations helping vets that were returning from overseas to adjust to normal life again. Jon was the kind of guy who everyone wanted to be around. He was the kind of neighbor that would shovel his own driveway and then go up and down the street shoveling everyone else's too. He was the kind of guy that would bring teddy bears to all the tellers at the bank, gifts for the waitresses at South Side Johnnies, and would sit in a hospital room with a sick friend for days on end. Jon left behind three children, Melissa Freeman of Newport News, Virginia, Hoai My Winder currently living in Japan and Xuan My Mohs of Las Vegas, Nevada. He had an adopted son, Paul Anthony Springer; and four stepchildren, Jennifer Kaiser, Toni Martin, Douglas Alfar and Shane Alfar. His instructions were that there was to be a celebration of his life with no mourning, just happy thoughts. Celebration of Life with Military Honors, 1:00PM, Sunday, December 16, 2018, Center For Spiritual Living, 5075 Flintridge Drive, Colorado Springs, Colorado 80918. Please wear bright colored clothes and come and celebrate his life. In lieu of flowers please consider a memorial con-tribution in Jon's memory to Safe Place for Pets, 1520 North Hancock Avenue, Colorado Springs, Colorado 80903.